Showcases beautiful glass blown art from over 70 artists. Specializes in low voltage lighting. 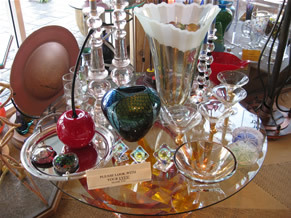 The store also carries a great selection of jewelery, fused glass clocks, shattered glass mirrors and copper art.